Unstuffy, hip, and often funny, The Copyeditor’s Handbook has become an indispensable resource both for new editors and for experienced hands who want to refresh their skills and broaden their understanding of the craft of copyediting. This fourth edition incorporates the latest advice from language authorities, usage guides, and new editions of major style manuals, including The Chicago Manual of Style. 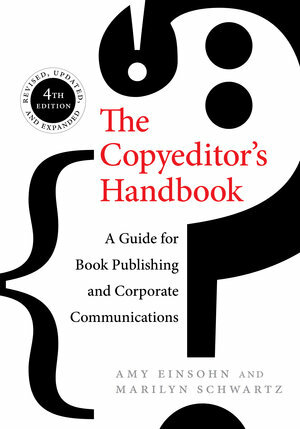 It registers the tectonic shifts in twenty-first-century copyediting: preparing text for digital formats, using new technologies, addressing global audiences, complying with plain language mandates, ensuring accessibility, and serving self-publishing authors and authors writing in English as a second language. The new edition also adds an extensive annotated list of editorial tools and references and includes a bit of light entertainment for language lovers, such as a brief history of punctuation marks that didn’t make the grade, the strange case of razbliuto, and a few Easter eggs awaiting discovery by keen-eyed readers. 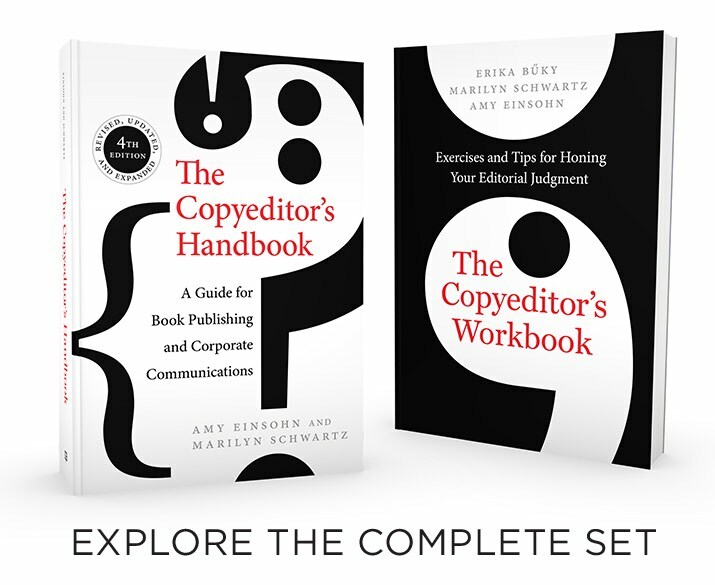 When you’re ready to test your mettle, pick up The Copyeditor’s Workbook: Exercises and Tips for Honing Your Editorial Judgment, the essential new companion to the handbook. Amy Einsohn was a professional editor who worked in scholarly, trade nonfiction, and corporate publishing. She taught dozens of copyediting courses and also conducted on-site corporate training workshops. After earning a PhD in English in 1976, Marilyn Schwartz joined the staff of the University of California Press and served as Managing Editor for twenty-eight years. From 1979 through 2004 she also taught editorial workshops for UC Berkeley Extension. She is the principal author of Guidelines for Bias-Free Writing.